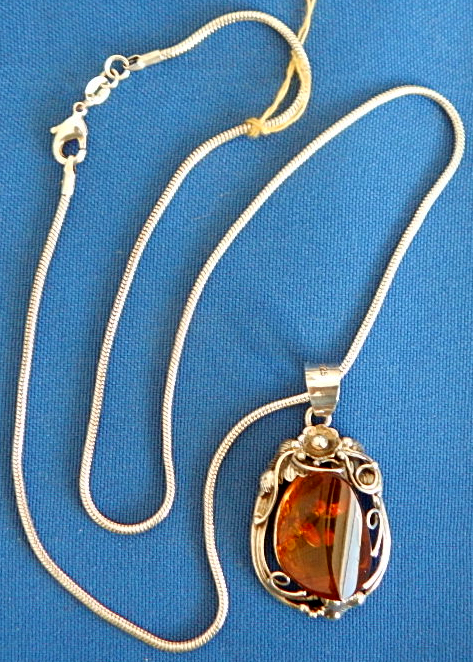 Amber pendant 20" sterling silver chain. 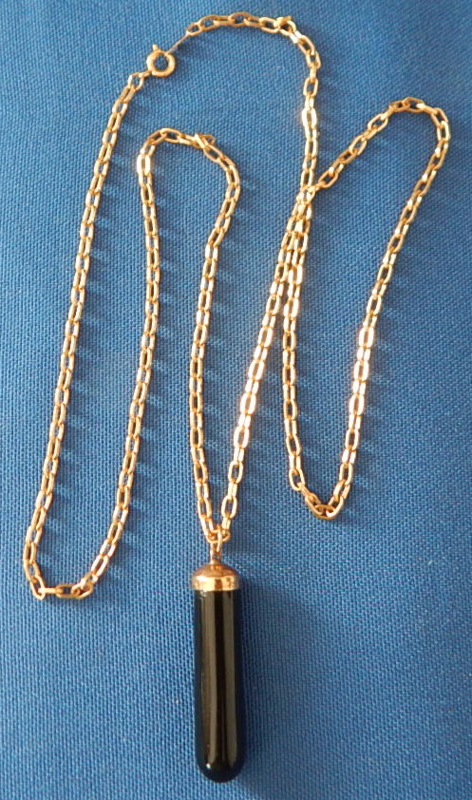 Black 1 1/2"onyx pendant with 24" 12 kg chain. 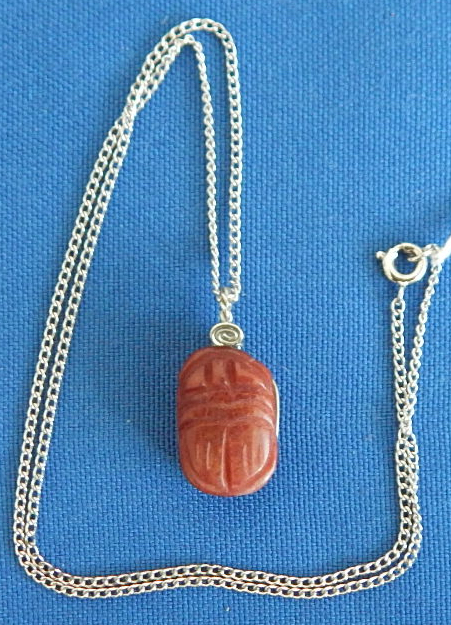 Carved Carnelian 3/4" pendant on 16" sterling silver chain. 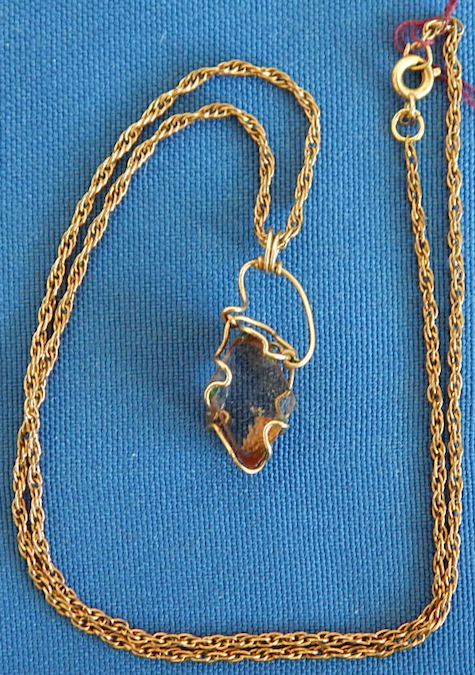 1 1/2" gem Dinosaur bone silver pendant on 20"silver chain. 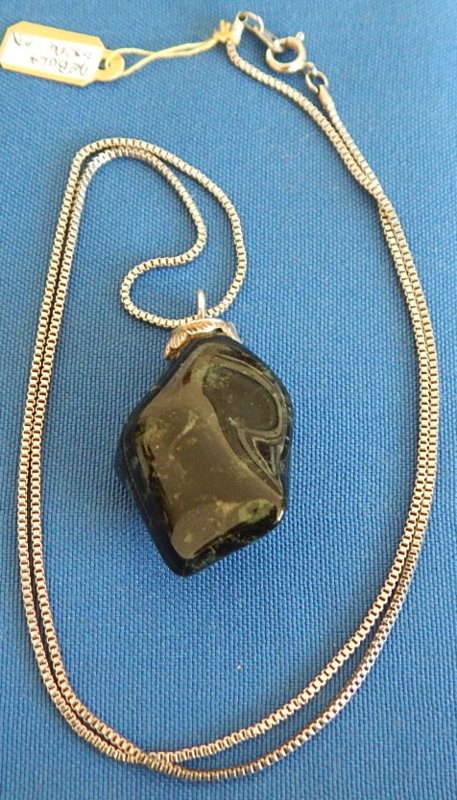 Rare Nebula stone 1" x 1 1/2" x 3/4" from mexico polished pendant on 24" silver chain. Fine lavender garden quartz small 3/4" pendant on 12 k g filled chain. 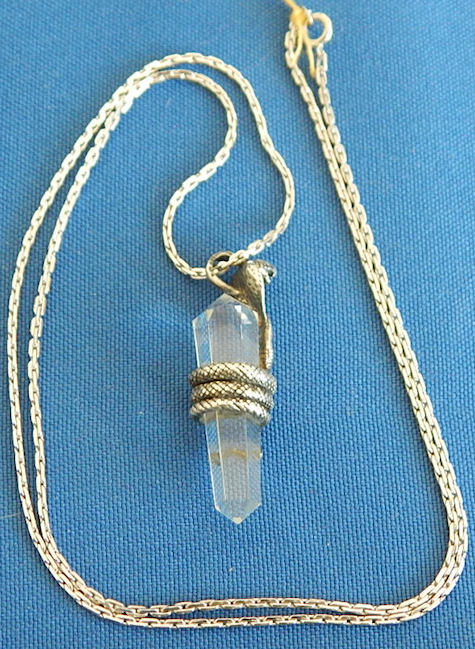 Large beautiful 1 1/2" wrapped quartz crystal pendant on 20" silver chain. Real fine. 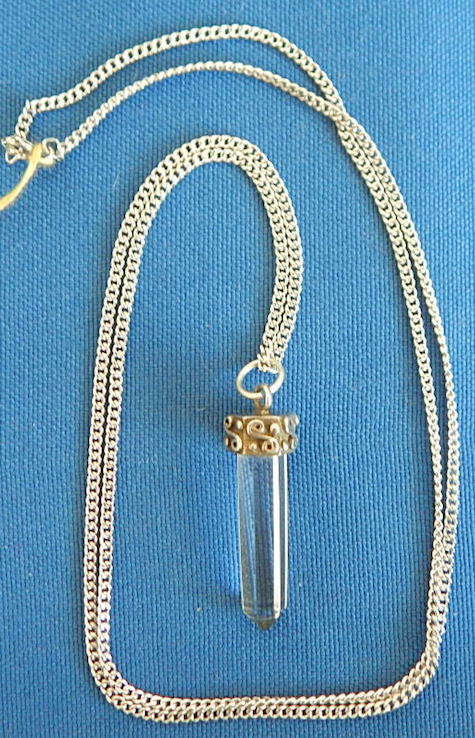 Beautiful 1 1/4" quartz crystal pendant on 24" silver chain. Real fine. 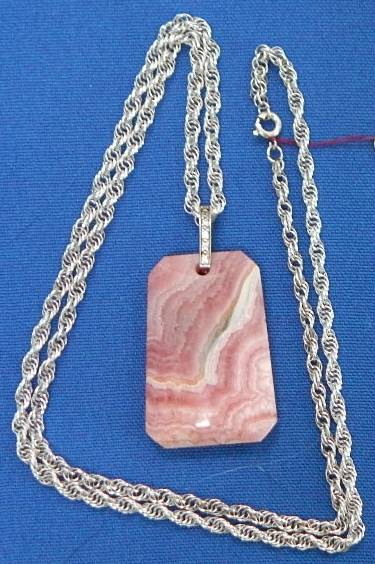 Rhodochrosite stone pendant 1" x 1 1/2" x 3/8" attached on beautiful 24" silver chain. Very cool. Tourmaline & zoisite 1" x 1 1/2" pendant on 15"silver chain. Exquisite. 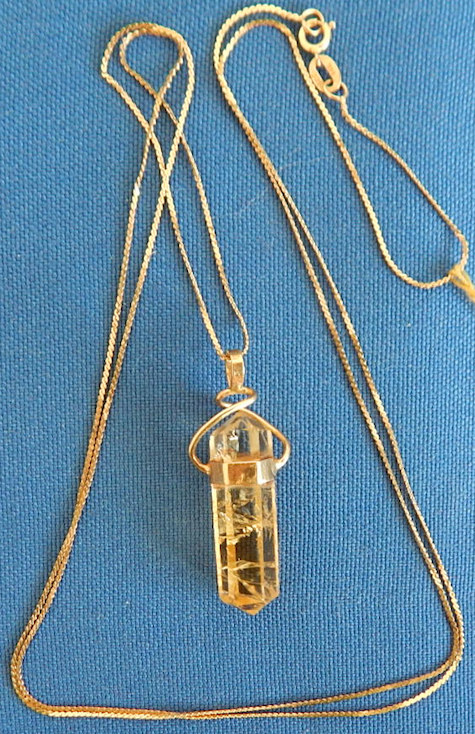 Yellow 1 1/4" "healer" quartz on 30" fine 14 kg chain pendant. Outstanding piece.